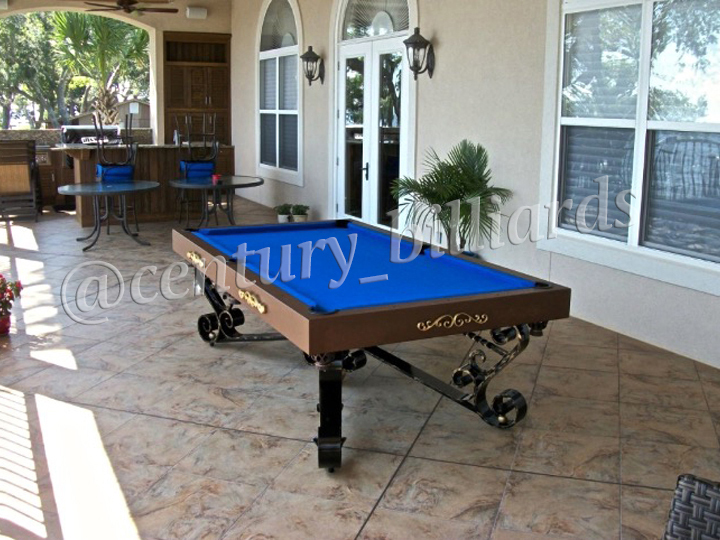 An Outdoor Pool Table is a spectacular addition to any backyard, and at Century Billiards & Game room, we have over 100 years of professional and expertise in the billiards industry. 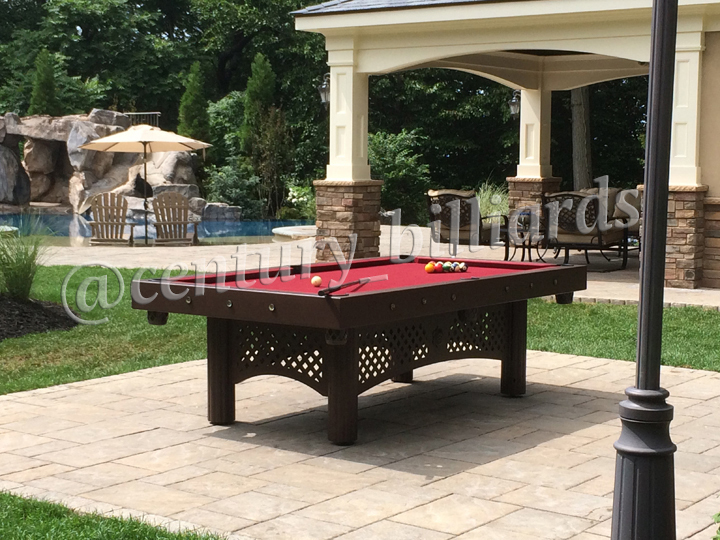 Our Ultimate Outdoor Pool Table Headquarters is located in Long Island, NY in East Northport. 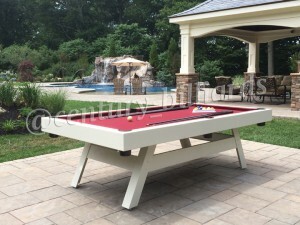 Thanks to our incredible craftsmanship and 100 years of experience, we can create and design the Outdoor Game Room of your dreams! Imagine how excited your friends and family will be to discover an outdoor pool table in your backyard. 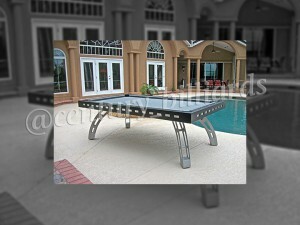 It’ll become the focal point for your outdoor entertaining. 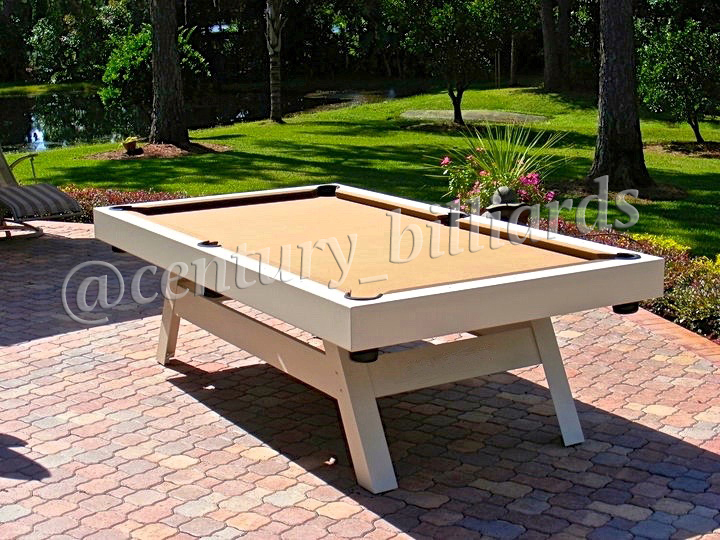 What could be better than playing pool outside on a gorgeous day? An outdoor pool table instantly elevates family reunions, barbecues, birthday parties, etc. 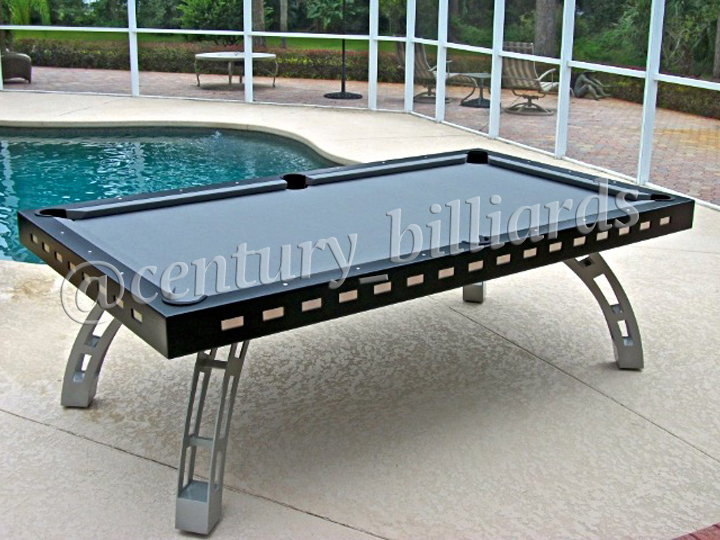 How Popular Are Century Billiards Outdoor Pool Tables? 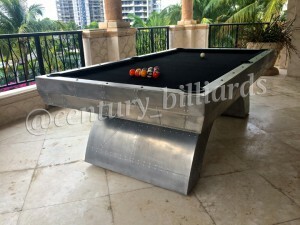 In addition to all of our local clients in New York and Long Island, our pool tables are in luxury hotel resorts all over the world, at Caribbean retreats, most Disney resorts, colleges and any other outdoor venues. How Durable Are Century Billiards Outdoor Pool Tables? 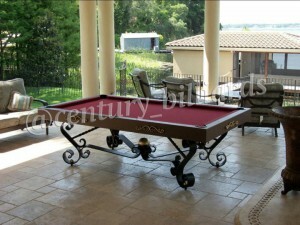 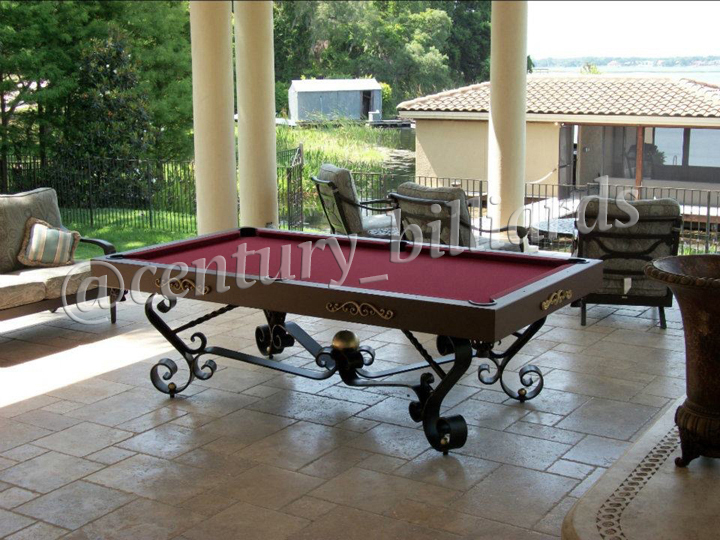 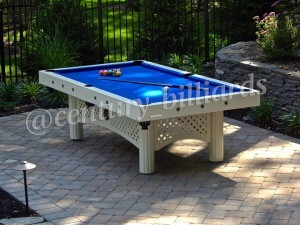 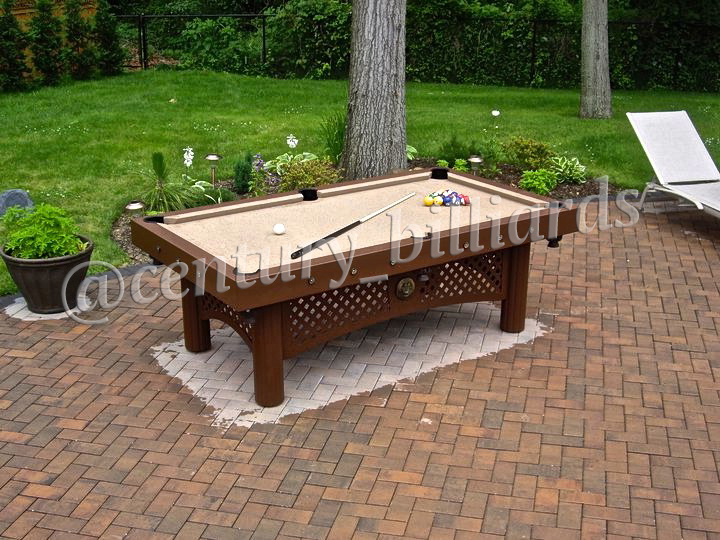 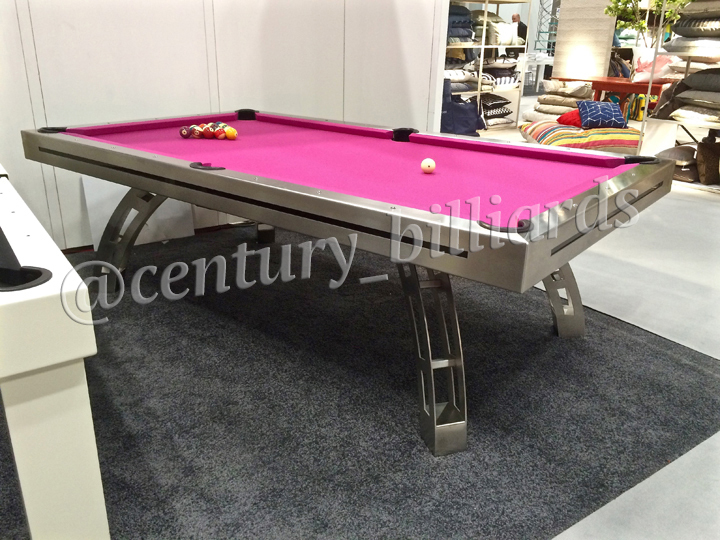 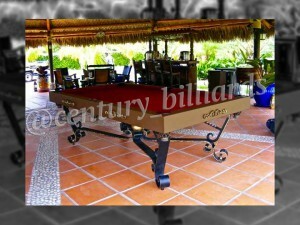 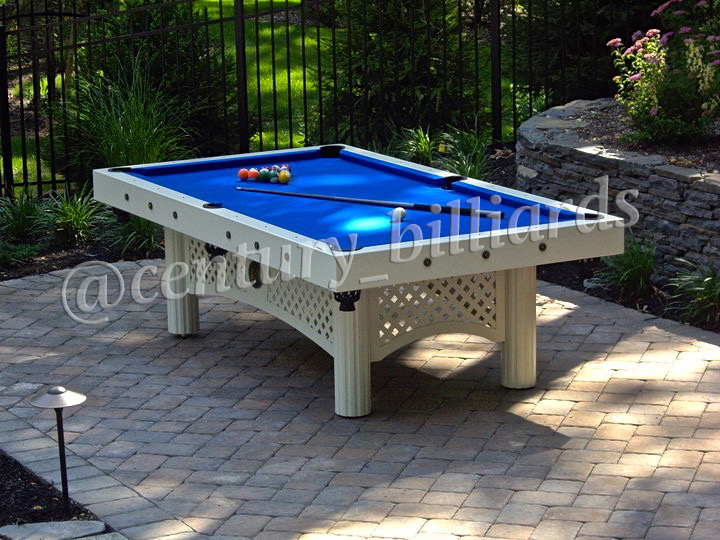 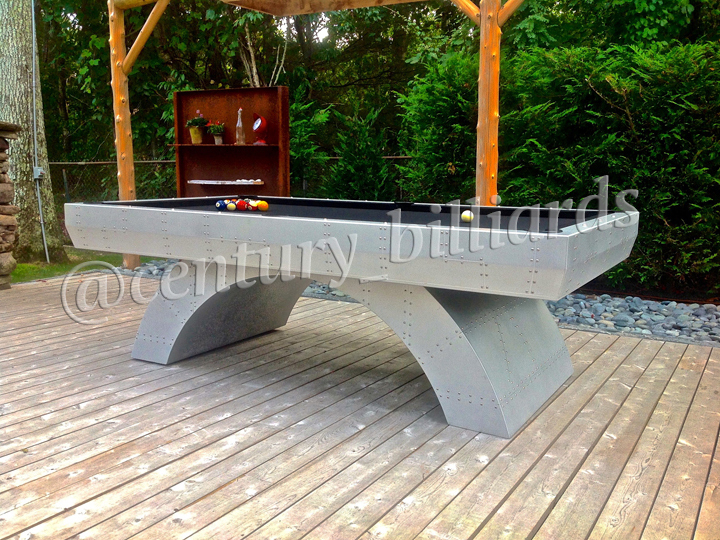 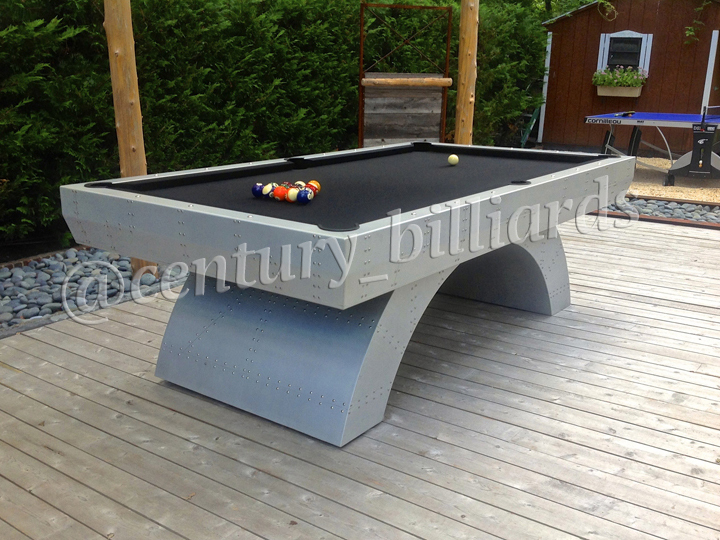 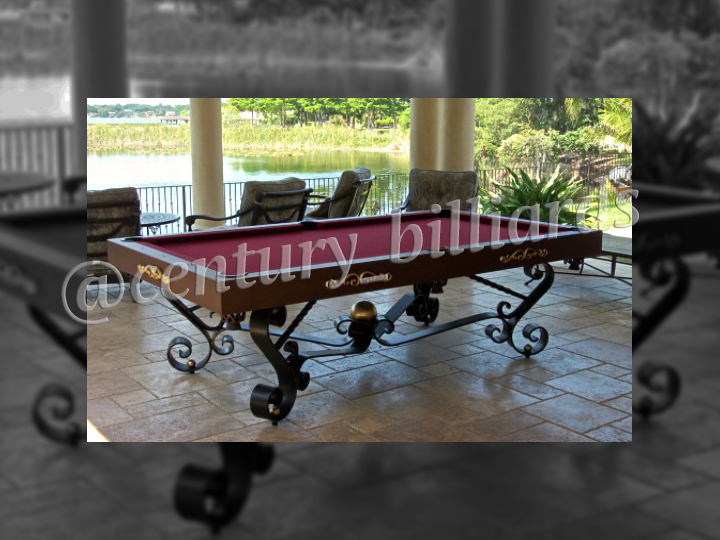 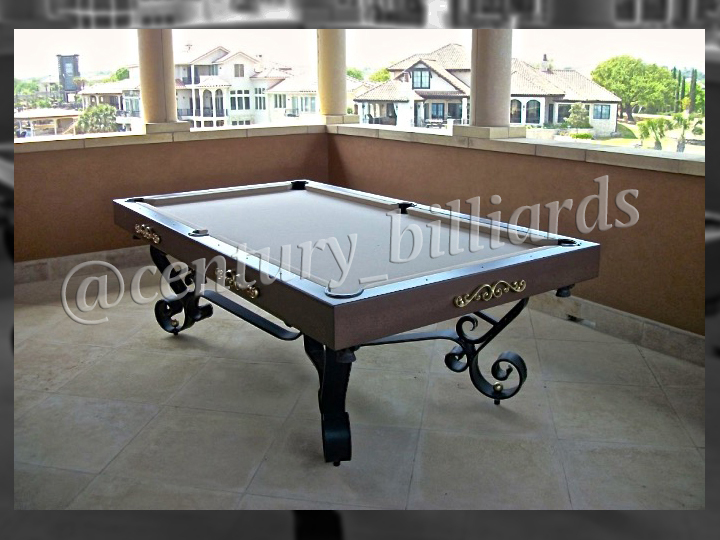 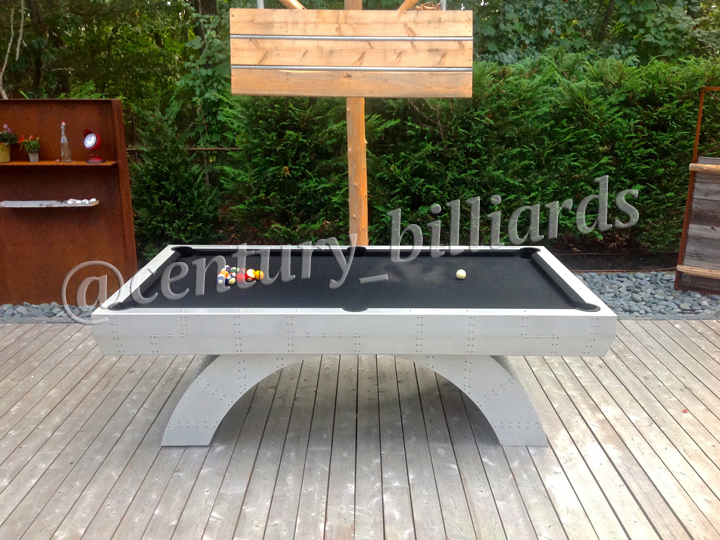 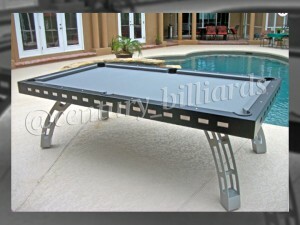 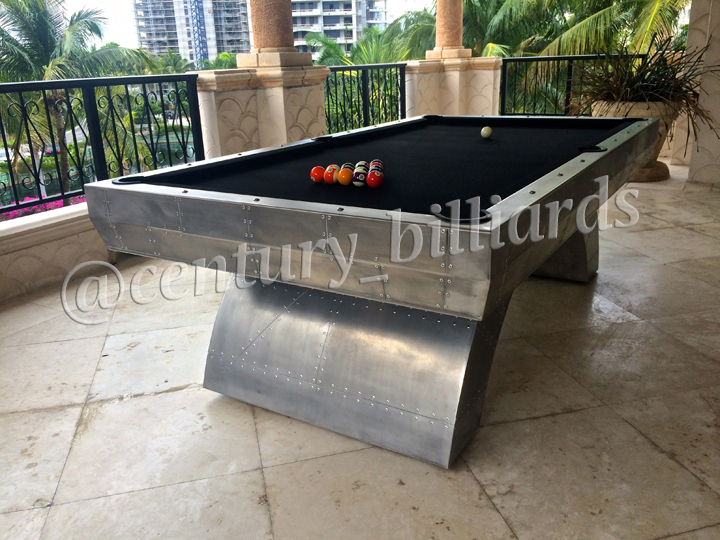 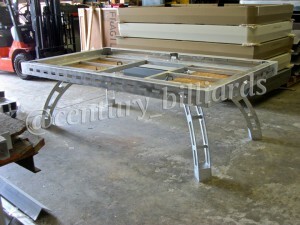 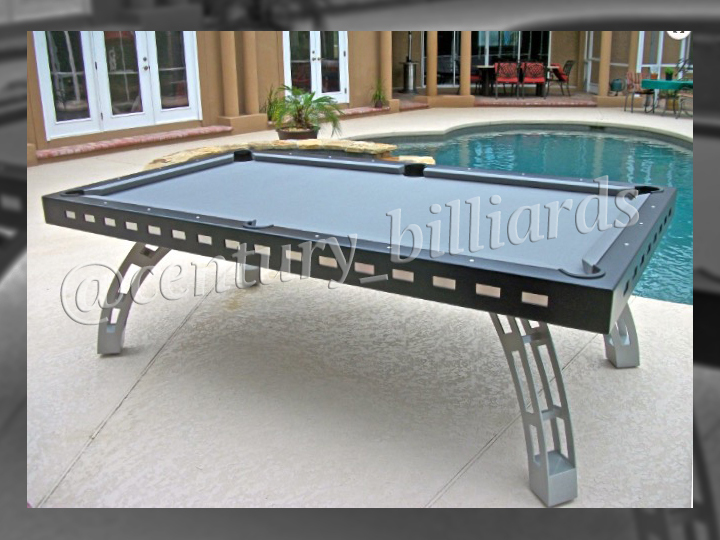 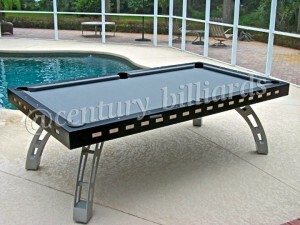 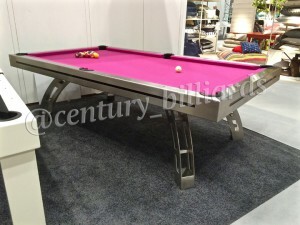 The Century Billiards family engineers the most durable outdoor game products on the market. 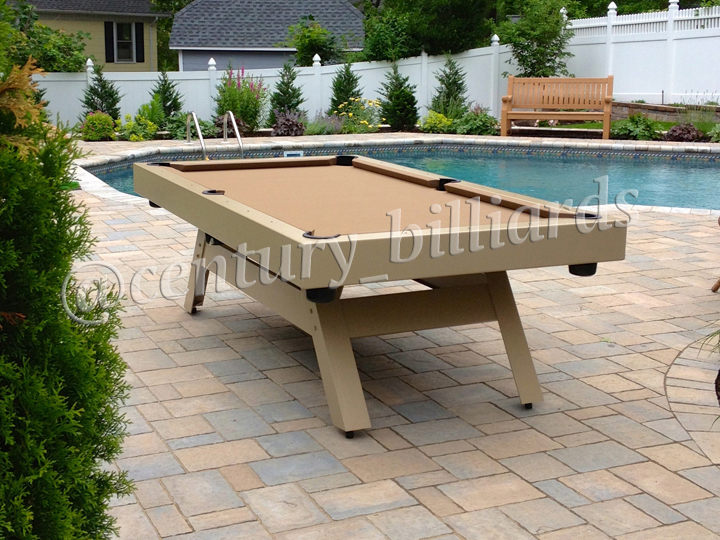 Our outdoor pool tables are designed for all-weather with aluminum construction that won’t rust or warp. 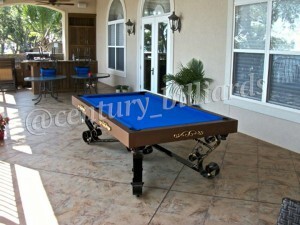 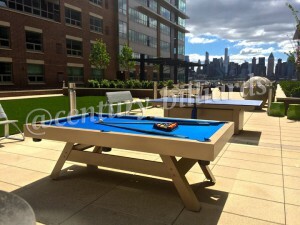 Century Billiards outdoor pool tables can withstand any type of weather – rain, snow, hail, etc. The sturdy, rust-proof aluminum frame is powder coated to avoid paint chipping and is welded for strength by our master craftsmen. 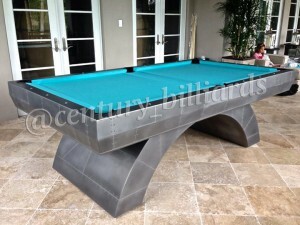 Unlike inferior tables made of particleboard, Century Billiards only uses one-piece slate for a level playing surface. 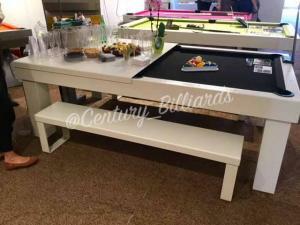 Table rails are made of polyvinyl (PVC) with 100% pure gum rubber cushions for the best results and a high quality playing experience. 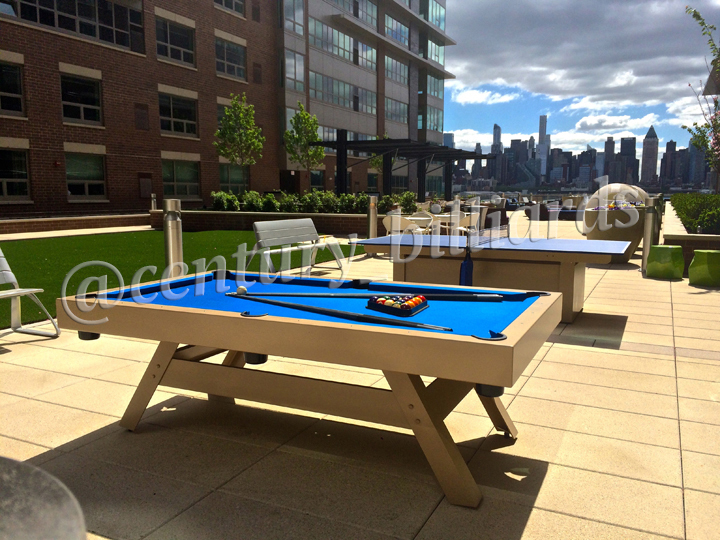 Our beautiful, seamless construction is finished with stainless steel hardware and commercial-grade outdoor fabric. 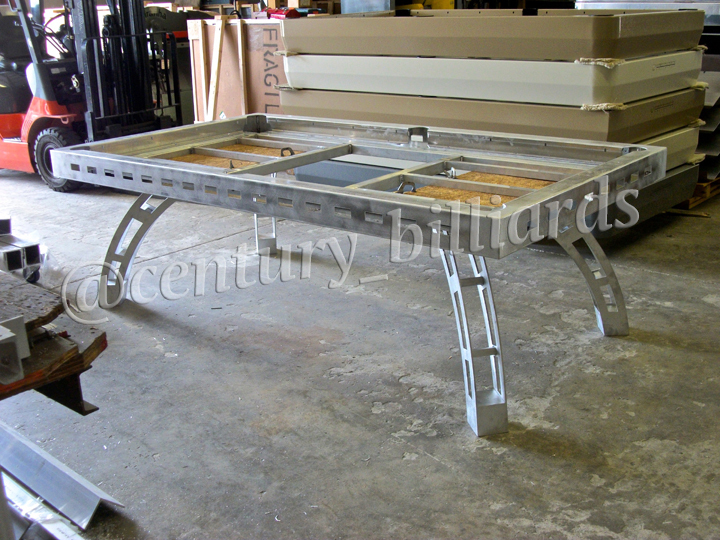 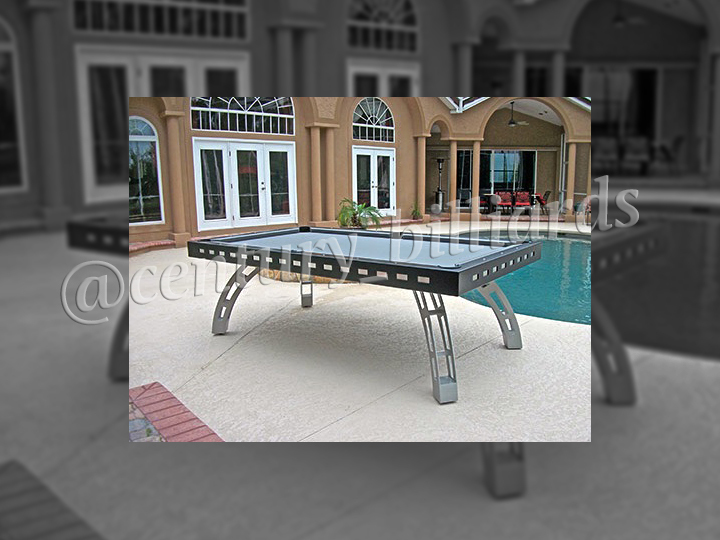 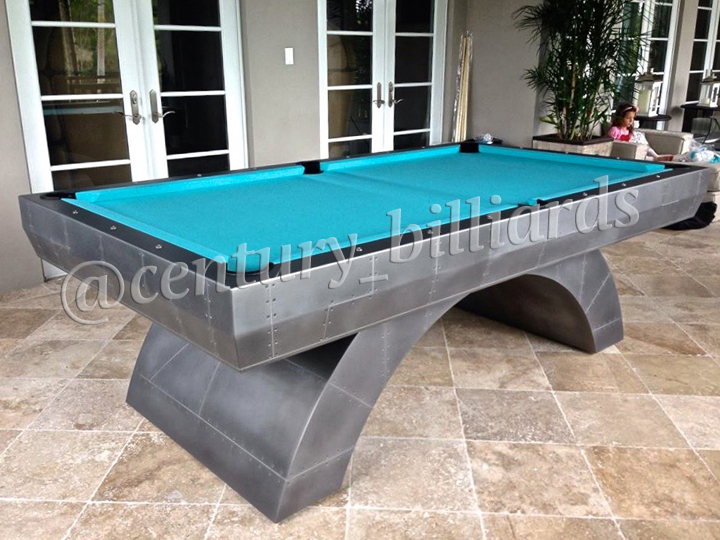 The Outdoor Pool tables from Century Billiards are made by our expert craftsmen under one roof – no farming out work. 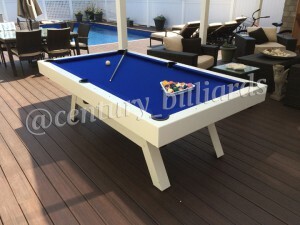 Buy an outdoor pool table that is “Proudly Made in the USA.” Talk to the outdoor pool table experts at Century Billiards by filling out our contact form or click the red button below for a free consultation and one of our professionals will contact you shortly. 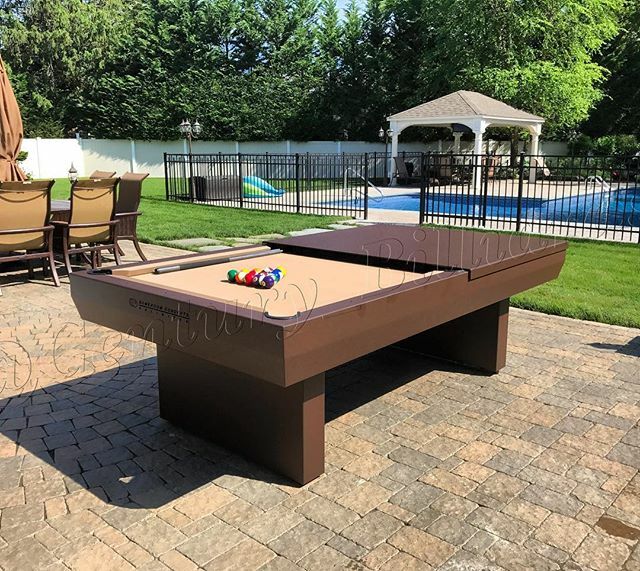 You can also feel free to give us a call at 631-462-6655!